Decking is something that sometimes get forgotten to clean and treat in your garden, its important to keep it clean and safe to walk on for obvious reasons. 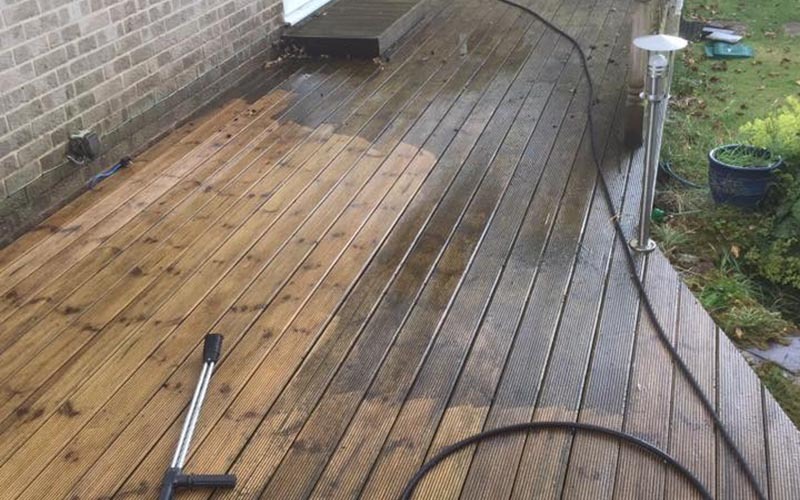 Are you looking for the best decking cleaning company in Thatcham, Newbury? Has your decking discoloured and dulled over time? Would you like to see your decking restored to its original condition? 1st Glass Window Cleaning can completely restore your decking to its original condition, removing all stains, dirt, grime and any organic matter such as algae and moss. Garden decking can become slippery over time, causing it to be dangerous to walk on. Our decking cleaning experts will revive your decking, bringing it back to life and looking in great condition. Whether you just need a simple clean you need or a complete refurbishment, we can help. Due to the damp climate here in the UK, your decking will normally deteriorate in condition over time, making it look unsightly and an eyesore to any visitors. Algae and moss are the usual culprits, but this can be rectified. We are here to make that problem go away. There is no need to have your deck replaced, even if the appearance of the wood has diminished. 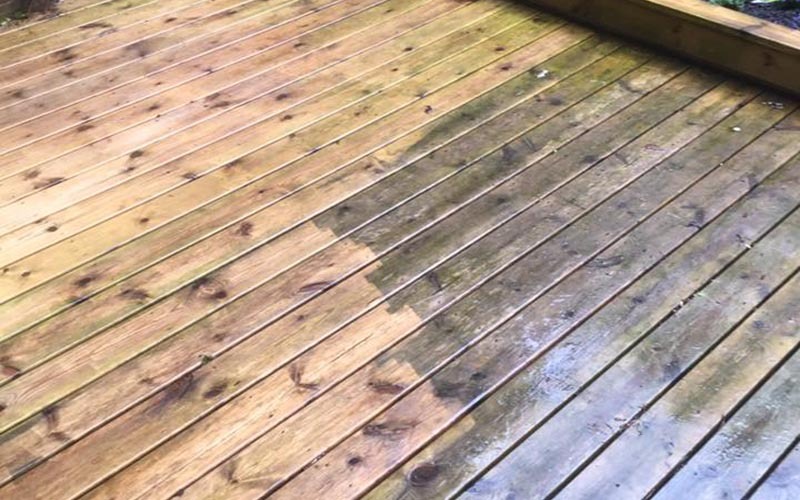 It just needs a good clean by the best decking cleaners in Thatcham. Lots of gardens throughout the UK have decked areas and we are often asked if we can clean them up as well as provide ongoing maintenance. In many cases all that is required is a high pressure wash to restore the wood decking back to its original condition. Our decking cleaning services are affordable and will help to protect the investment you have made. After cleaning your decking thoroughly, sealers and stains will help protect your wood from the elements, enhancing the colour or the wood and creating a barrier against UV light penetration. We can provide this service for you after the clean if required. Get in touch with us at 1st Glass Window Cleaning to have your decking cleaned and restored. We can easily be contacted on 07771 666 633 for a quote. If you would prefer to send us a message then please fill out our online contact form and a member of staff will get right back to you with further information. 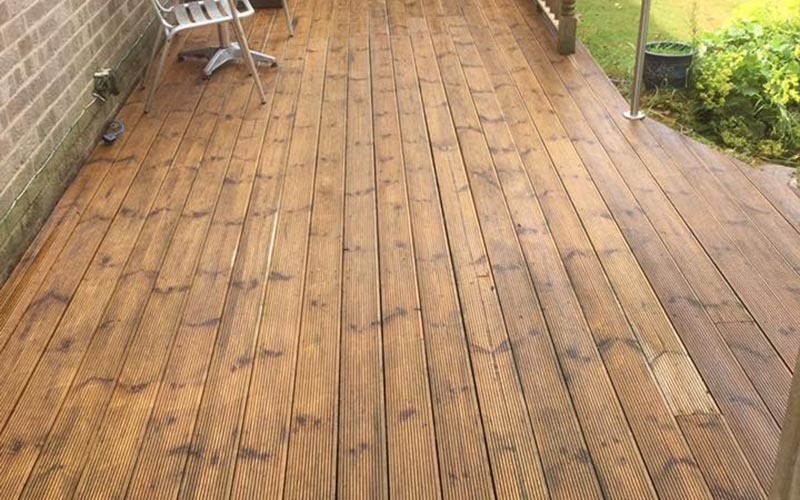 We are one of the best decking cleaning companies around and have a fantastic reputation within Thatcham, Newbury and the surrounding areas.